Metal Blade Records has proudly re-signed Arch/Matheos for a worldwide deal! 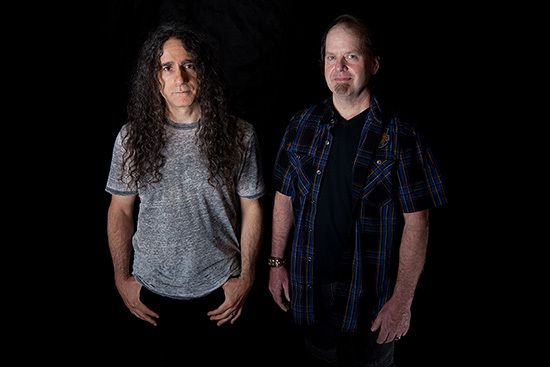 Arch/Matheos began as a reunion between founding Fates Warning members John Arch (vocals) and Jim Matheos (guitar), who hadn’t collaborated since John Arch’s solo EP, A Twist Of Fate (2003) – and hadn’t fully collaborated for a whole album since Fates Warning‘s Awaken the Guardian (1986). In 2010, the duo began working on a record together and brought along three Fates Warning members to the fold. The five members would in turn release their debut album Sympathetic Resonance in 2011, under the name Arch/Matheos. Since then, John Arch and Jim Matheos have kept busy with their other projects – but now the time has come for them to join forces once again, for a new Arch/Matheos release, due out 2019 via Metal Blade Records. Already featuring special guests Thomas Lang, Bobby Jarzombek, Baard Kolstad, Mark Zonder, Matt Lynch, Steve Di Giorgio, Joey Vera, Sean Malone, Joe DiBiase, and Frank Aresti – with more to come! – this upcoming Arch/Matheos album is currently being tracked, with Jens Bogren (Fates Warning, Opeth, Devin Townsend, etc.) handling mixing duties in November. Stay tuned for more news coming soon!